Love is a many-splendored thing. Love is all we need. It’s also the subject of the new OWN series created and executive-produced by husband and wife duo Salim Akil and Mara Brock Akil. Having collaborated on Being Mary Jane and, most recently, Black Lightning, they’re turning the lens toward matters of the heart in Love Is_. The pair uses their marriage as the template for the dramedy, which focuses on Nuri (Michele Weaver) and Yasir (Will Catlett) as they navigate coupledom, parenthood, and Hollywood. As the Akils prove in reality and on-screen, love is definitely what you make it. 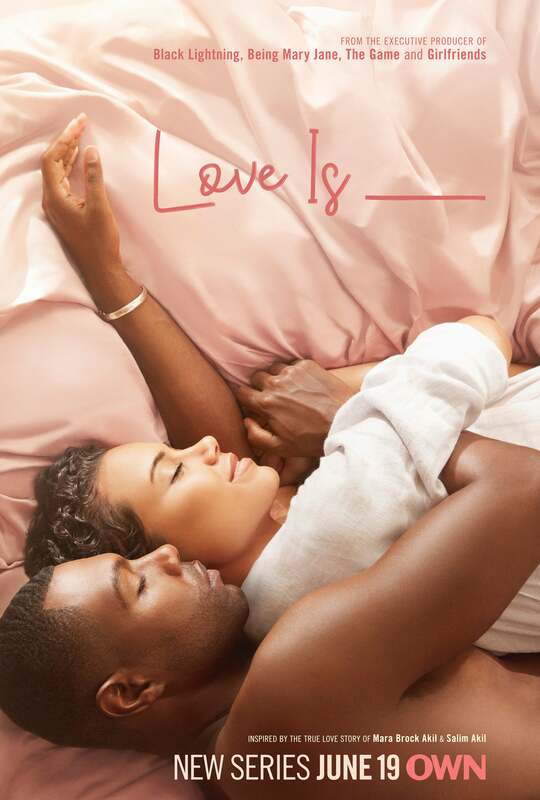 Love Is_ premieres on OWN Tuesday, June 19th at 10 p.m.